This Christmas marks 50 years since Rudolph the Red-Nosed Reindeer was first broadcast on television. The classic Yuletide special originally aired on the NBC network on Sunday, December 6, 1964. It was sponsored by the General Electric and produced by a New York-based animation company called Rankin/Bass. Arthur Rankin, Jr., the producer and director behind the Rudolph Christmas special, passed away on January 30, 2014 at the age of 89. The New York-born Rankin partnered with Jules Bass to form an organization known for its use of stop-motion animation and celebrity voices. Rudolph is the longest-running Christmas special on television (A Charlie Brown Christmas debuted in 1965, and How the Grinch Stole Christmas originally aired in 1966). The beloved holiday tale is based on the song composed by American songwriter, Johnny Marks. Marks took his inspiration from the story of an outcast reindeer, created by his brother-in-law, Chicago retail employee Robert L. May in 1939 as a department store promotion. The song was recorded by cowboy singer Gene Autry and became a huge hit in December of 1949. The 1964 television special added several new aspects to the story of Rudolph and also characters that do not appear in either Robert L. May's poem or the song by Marks. For example, in the TV movie, it is established that Donner is Rudolph's father and that Comet is the coach of the Reindeer Games. 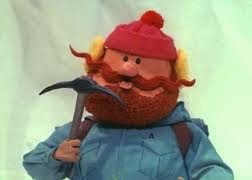 In the special, there are new characters such as prospector Yukon Cornelius, Clarice, the doe who is sweet on Rudolph, Bumble, the Abominable Snowman and Hermy, the elf who yearns to be a dentist. Another addition to the original story is the Island of Misfit Toys, a place of refuge for unwanted toys. Among the misfit playthings are Charlie-In-The-Box, a misnamed jack-in-the -box, King Moonracer, the winged lion who rules the island, Spotted Elephant, the polka-dotted elephant who the footman in King Moonracer's castle, a train with square wheels, and a bird who swims instead of flies. Here are the opening lines of the Rudolph the Red-nosed Reindeer special, as spoken by its narrator, banjo-playing Sam the Snowman. If I live to be 100, I'll never forget that big snow storm a couple of years ago. The weather closed in and, well you might not believe it, but the world almost missed Christmas. Oh, excuse me, call me Sam. What's the matter? Haven't you ever seen a talking snowman before? 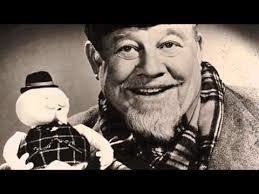 Sam the Snowman was voiced by and strongly resembled American folk singer Burl Ives. Ives, who died in 1995 at the age of 85, sang one of the most popular songs from the special, "Have a Holly Jolly Christmas," That song, also written by Johnny Marks, has become a perennial holiday standard in its own right. Rudolph the Red-Nosed Reindeer has a decidedly Canadian flavour about it. Although the stop motion animation was filmed in Japan, the complete soundtrack was recorded at the RCA studios in Toronto. Most of the singing and speaking was provided by the voices of Canadians, under the stewardship of Canadian actor Bernard Cowan. 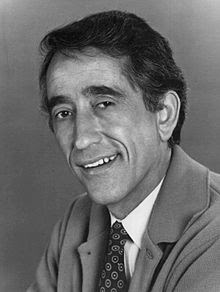 Vancouver-born Cowan, who died in 1990, was an announcer on many CBC TV series such as Front Page Challenge and Wayne and Shuster. 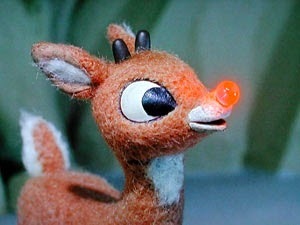 Rudolph the Red-Nosed Reindeer was voiced by a woman, Toronto-born voice artist Billie Mae Richards. Richards died of a stroke in Burlington, Ontario on September 10, 2010. She was 88 at the time of her passing. Billie Mae was the mother of Canadian pop singer and songwriter Judi Richards. 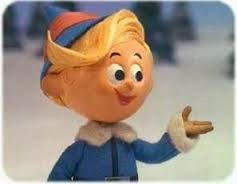 Toronto-born Paul Soles, now 84 years old, provided the voice of Hermey, the misfit elf who wants to be a dentist. 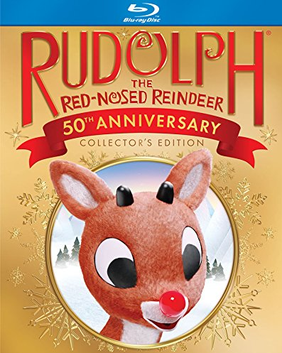 In an article that appeared on the CBC News website on December 5, 2014, Soles gives interviewer Janet Davison his opinion as to why the popularity of the Rudolph TV special has endured in this age of computer-generated animation. Soles believes the main reason for the special's timeless appeal is that "Everybody's been to some degree separated out, found wanting, not quite fully fitting in. Either you're too tall, you didn't make the team, or you were too short or something like that. That's one of the universal elements of the show." Soles himself did not feel completely accepted growing up Jewish in Toronto. 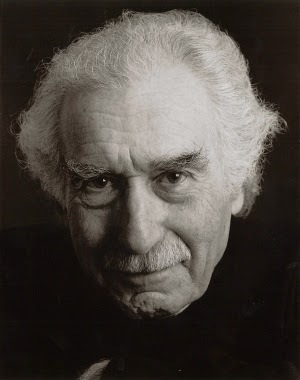 In her December 11, 2014 piece in the Toronto Star ("Rudolph's Toronto connection"), reporter Barbara Turnbull quotes Paul Soles on the reason why so many of the major voices for Rudolph were recorded in Toronto. 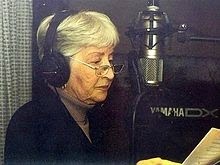 "In Toronto, explained Soles, we had the very best pool of English-speaking radio actors in the world. They came here because we were great and we worked cheap. We had no union protection." It's not surprising that Rankin/Bass took note of the Toronto talent pool. 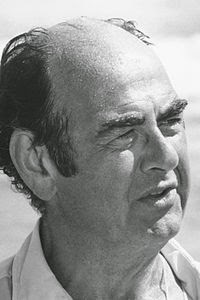 Carl Banas, a longtime Toronto radio personality and actor, voiced the Elf Foreman and various misfit toys. Banas also co-starred alongside John Vernon, as police detective Byron James on the Canadian television drama Wojeck. Wojeck aired on the CBC from 1966 to 1968. 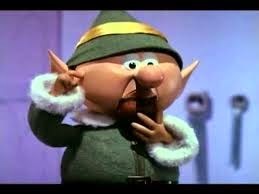 The unnamed Elf Foreman is the chubby and cantankerous.song leader at Santa's Workshop. 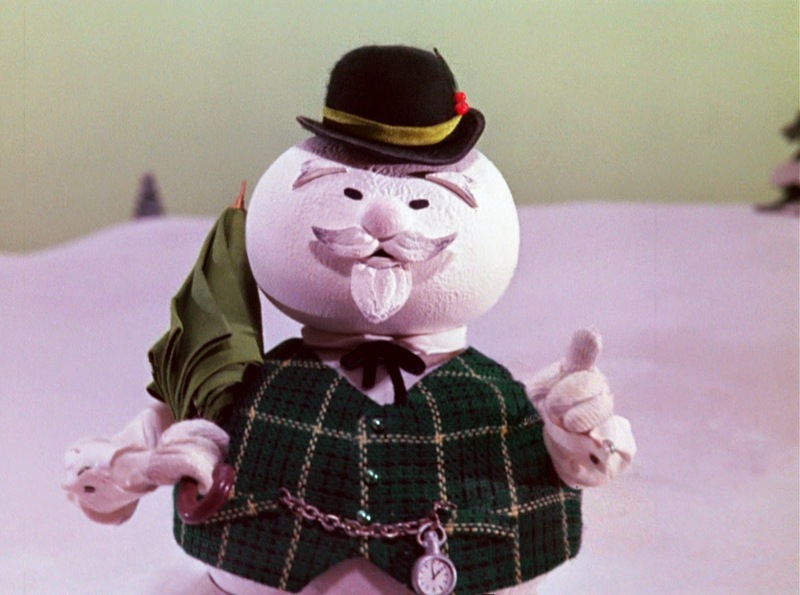 He conducts the elves in their rendition of "We are Santa's Elves" and his goatee makes him resemble conductor and recording artist Mitch Miller of "Sing Along with Mitch" fame. The Rudolph the Red-Nosed Reindeer special was released in the VHS format by Sony Wonder in 1998 and on DVD in 2000. Classic Media released a 50th anniversary edition on Blu-ray in November of 2014. * Television viewers were so touched by the plight of the unfortunate misfit toys that they complained that Santa Claus had not been shown to keep his promise to deliver the misfits in his yearly Christmas sleigh ride. As a result, a new scene was added to subsequent broadcasts in which Santa makes his first stop at the Island of Misfits to pick up the toys. * Whatever happened to the original puppets from the Rudolph the Red-Nosed Reindeer special? In 2006, Kevin Kriess, the owner of the Time and Space Toys store in Pittsburgh, Pennsylvania, purchased the original Santa Claus and one of the Rudolph puppets from the TV special Rudolph the Red-Nosed Reindeer and had them restored. Kriess obtained the the puppets from a private seller whose aunt had been Arthur Rankin's secretary for many years. The original puppets were not considered valuable at the time and were eventually discarded. The secretary, who has remained anonymous, was granted permission to take them home. They were stored in the attic of the her home and were damaged by her children.. Only Santa and one the three Rudolph puppets survived all the wear and tear. According to Rankin/Bass historian Rick Goldschmidt, the Yukon Cornelius figure melted. The puppets are not large and they are made of wood, wool and wire. The restored Santa puppet is only about 5.7 centimetres (5 inches).in height. Kevin Kreiss, who agreed not to disclose what he paid for the puppets as part of the deal, had this to say about the appeal of the Rudolph special:in a 2006 article by Phil Kloef in the Atlanta Journal Constitution: "It goes back to a time before there were a lot of entertainment options, [before] you could watch anything you wanted on DVD. The airing of a Christmas special was an event you looked forward to. You marked your calendar, and the whole family sat down together and it became a Christmas ritual."